I’ll make this a very quick update but I’m currently really having sort of a poker break. I’ve played a lot during the first two weeks of May and did okay. Till the 16th I was up for the month and was heading for an okay result. Since my girlfriend was coming back on the 20th I didn’t expect to play a lot during the rest of the month. Unfortunately I lost about $1.650 in my last 3 sessions and ended $1.140 down for the month. Not happy again, but with my girlfriend returning and my vacation starting coming Friday I felt it was better to leave it that way, then to play 1/2 sessions more f.e. tonight. I’ve been relaxing since the 20th and I feel the urge to play poker again. That’s at least something I was trying to accomplish and I think a month break will do me good. I’m currently at 450.000 VPPs and planning to finish at 500.000 VPP’s on the 1st of July. That would leave me exactly on pace which is fine. I’m curious how much VPP’s I will crunch out in July/Augusts but that probably depends a lot on the weather as well. In September I will hit the cashgames and party’s in Las Vegas again and I will have to crunch out the remainder off the VPP’s during those last 3,5 months. I feel pretty okay about my current status and as mentioned before, I expected results to be different but I still don’t think I’m doing really bad. At the end of the year the total sum of money is what matters and if I would have aimed lower (VPP wise) I would probably lost about as much on the tables(bb/100 wise) but with a lower rakeback % at the end. I’m currently really looking forward to my vacation. I’ll be leaving for Alpe D’Huez on Friday planning to cycle up the big mountain on Sunday morning. I’m anxious, excited, slightly worried and most of all very happy I’m finally doing it. It might be something a lot of people can do without much problems but 3 years ago I was in a completely different situation and to actually go to Alpe D’Huez is something that is worth a lot to me! I’ve haven’t trained a lot since I cycled the Amstel Gold Race about 5 weeks ago. I did good the first week but had some physical issues the 2nd week and didn’t feel really good the 3th and 4th week. So much for a good preparation! Last weekend I did had a nice training planned with 4 colleagues. I still didn’t feel really well but didn’t want to miss it as it was both a good test and a really nice day out. 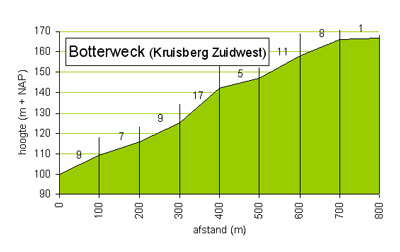 I cycled about 80km in the hills of Limburg (same area as the Amstel Gold Race) and did better then expected. 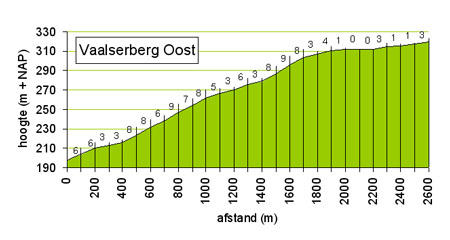 For those who are familair in the area: I cycled the daalhemmerweg, Camerig, Vaalserberg, Kruisberg(Botterweck), Eyserbosweg and Gulperberg. 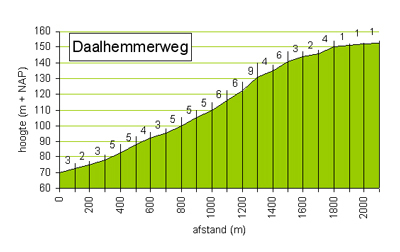 I was doing okay on the daalhemmerweg, Camerig & Vaalserberg which are all three not very steep, but long (for Dutchies) hills. 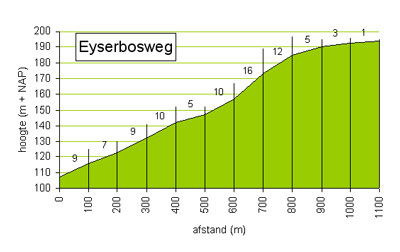 The Kruisberg(Botterweck) was doable but the Eyserbosweg was really pushing it. 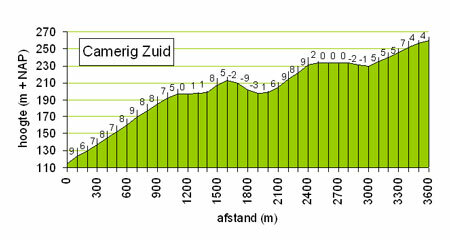 I made it, but those steep parts (16%) are really killing me. 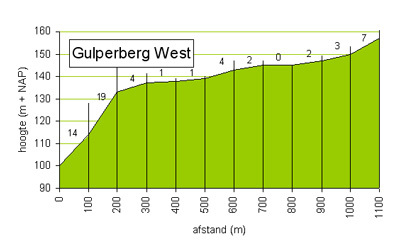 Then the final hill was the Gulperberg and after 80km cycling there was no way I could do a 19% part. It was the first time I had to get off my bike ever but I was really happy with the result of the training. I wasn’t feeling really fit and doing the steepest part at the end might not have been the smartest idea, but that wasn’t my idea. As far as I know Alpe D’Huez doesn’t have really steep parts and it will be more about endurance. Keep up the great work. Love reading your blog. I’m very new to online poker and was wondering if you could help me with a few questions. What sort of setup do you use to mass table 20 tables at once? Do you stack your tables? Tile them? Cascade them? Do you use a mouse or the hotkey buttons with a program like Table Ninja? I’m trying to multi table like you thinking of going for SNE in 2011 but would like any tips. Please feel free to e-mail me.